Music has always been one of the best mediums to bring attention for real social cause and matters that need real support. 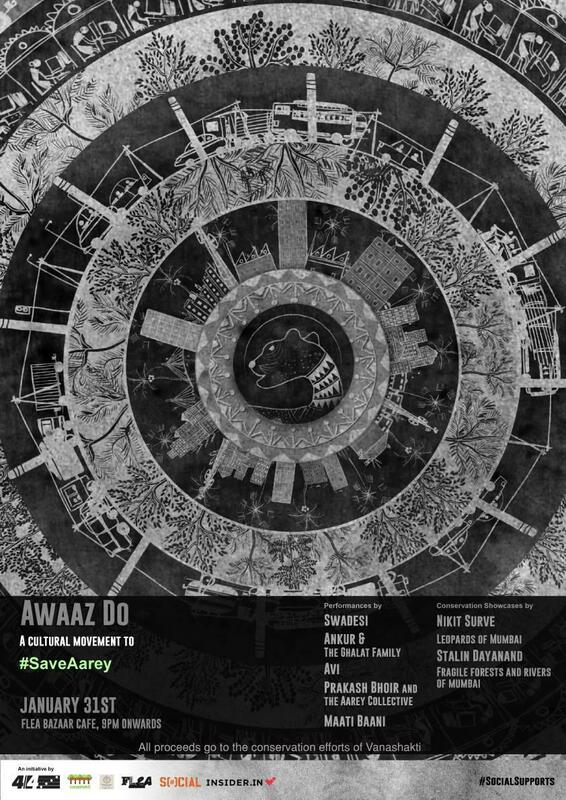 Awaaz Do is a cultural initiative to address, act and positively contribute towards solving urban problems that plague Mumbai. The debut edition will serve as a medium to raise funds for Vanashakti, with the help of Youth For Aarey, who have been actively fighting for the preservation of the Aarey forest. Supported by Social under the #SocialSupports banner, the event will feature live music performances by Ankur & The Ghalat Family, Swadesi, Maati Baani, Prakash Bhoir & the Aarey Collective (Prakash is the tribal chieftain of Aarey colony) and Avi. Talks by leading conservationists and speakers like Nikit Surve (Leopard Researcher) and Stalin Dayanand (Director, Vanashakti) will also be part of this activity. All proceeds for the show will go towards the conservational efforts of Vanashakti and legal cases that Vanashakti has been battling for the conservation of the forest. Save the date: 31st of January 2019 at FLEA Bazaar Café in Lower Parel, Mumbai.